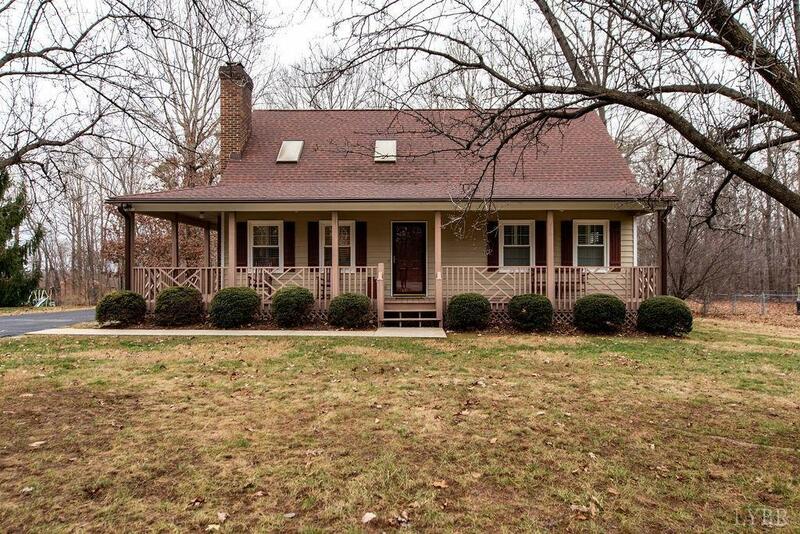 Immaculate & move-in ready Cape Cod 10 minutes from Wards Rd! You will love this convenient location right off Hwy 29 only minutes from restaurants & shopping! Updates include new heat pump, new hot water heater, replacement windows & plantation shutters! You will love this open floor plan with a 2-story family room & open upstairs loft area. Family room has hardwoods, gas log fireplace & opens to the dining area. Two main level bedrooms with full bath. Enormous sun room with tons of windows & natural light overlook the nice flat backyard! Upstairs boasts the master suite with master bath, closet and loft area that would make a great sitting room that opens to a large walk-in closet. Enjoy the large rocking chair wrap-around front porch! This home will go quickly at this price in this convenient location- Call today to schedule your private showing!